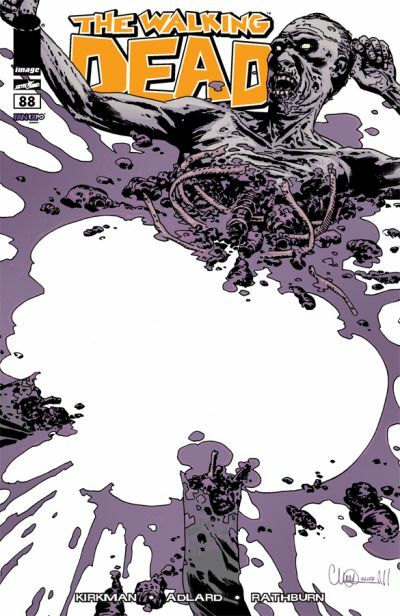 Berkeley, CA â€“ 22 August, 2011 â€“ This weekend, from Thursday the 25th to Sunday the 28th, Image Comics will be bringing many of their most popular titles such as THE WALKING DEAD, INVINCIBLE, CHEW, MORNING GLORIES, and more to exhibit and sell in Toronto at FanExpo Canada. Image will be located on the floor of the show at booth #130, with many creators such as Kevin Hopeless (LOVESTRUCK), Viktor Kalvachev (BLUE ESTATE), Jim Zubkavich (SKULLKICKERS), Edwin Huang (SKULLKICKERS), Charles Soule (27), W. Scott Forbes (27), Riley Rossmo (GREEN WAKE, PROOF), Kurtis J. Wiebe (THE INTREPIDS, GREEN WAKE), Scott Kowalchuk (THE INTREPIDS), Sam Sarkar (THE VAULT), Jeff Cahn (RED SPIKE), Owen Wiseman (SAMURAI’S BLOOD), and Nam Kim (SAMURAI’S BLOOD). Limited to 1000 and available only at the Fan Expo Canada booth!